The oil of Cypress, which can be so helpful for all kinds of circulation issues including edema and varicose/spider veins, is also helpful for stopping nosebleeds! This was explained at an aromatherapy convention in a fantastic class by Dr. Peter Minke on emergency first aid with the oils. Cypress for nosebleeds! My 13 year old son gets nosebleeds frequently. I read that Dr. Minke said during his class at Grand Convention to put cypress on the inside of each forearm (there are big veins there and that’s one of the fastest ways to get the oils into the blood stream). I’ll do 2 applications on each arm and his nose stops bleeding in under 1-2 minutes every time. Cypress is one of the oils in the “Oils of Ancient Scripture” set and is also available as a single oil. It’s been used for thousands of years! What else is it good for? Read on! This info is from the document “120 Uses for the 12 Oils of Ancient Scripture” compiled by Janet McBride. CYPRESS (cupressus sempervirens) The oil of Cypress has been used since ancient times for purification and as incense. Cypress is one of the oils most used for the circulatory system. Because it assists in moving stagnant matter, it actually assists many systems of the body: circulatory, digestive, urinary, and integumentary (skin). It helps with cellulite, varicose veins, hemorrhoids, fluid retention, constipation, edema, excessive perspiration, and hand and feet sweating. It is also effective for muscles and joints, the respiratory system, the reproductive system, and the nervous system. 31. Use a drop or two of Cypress where you would apply a deodorant. 32. Equal parts Cypress and Tangerine mixed with a small amount of pure carrier oil makes a wonderful serum for skin toning and also aids with the healing of scar tissue. 34. Apply Cypress neat or diluted on location to ease cramping. 35. Apply a drop of Cypress to a minor injury to facilitate healing and prevent infection. 37. Use several drops mixed with a pure carrier oil and apply where needed as an insect repellent. 38. Diffuse Cypress, or inhale directly from the bottle to help with insomnia. 39. Help relieve acute chest discomfort and/or bronchitis by rubbing Cypress on the chest area. 40. Help strengthen blood capillaries and increase circulation by rubbing Cypress mixed with a pure carrier oil on location. When used with Helichrysum oil, may help with varicose and spider veins. * Astringent: Strengthen your gums and tighten you muscles and abdomen with this essential oil of Cypress. The main function associated with astringency is contraction. So Cypress Oil makes your gums, skin, muscles and hair follicles contract and prevents falling of teeth and hair and loosening of skin and muscles. * Anti Septic: The anti septic properties of Cypress Oil makes it a good application for external and internal wounds as well as an ingredient of the anti septic lotions and creams. This is particularly due to presence of Camphene in its Essential Oils. * Anti Spasmodic: Cypress Oil is helpful in curing nearly all types of spasms and resultant problems. It efficiently relieves spasm in respiratory system, intestines and muscular spasms in limbs. It also helps cure convulsions, muscle pulls, cramps and spasmodic cholera which are caused due to spasms. * Deodorant: Cypress Oil has a spicy and masculine fragrance and can easily replace the synthetic deodorants which boast of a spicy, masculine smell. * Diuretic: Cypress Oil increases urination, both in frequency and in quantity. This is very important and can be very beneficial for health. With urine, fats are lost from the body to the extent of 4% of the volume of urine. So, it is but obvious that more you urinate, the more you lose fat. Then, urination promotes digestion and also does not let gas form in the intestines as well as removes excess water from the body and reduces swelling etc. The most important role played by urine is that it removes toxins from the body. Added to that, it also reduces blood pressure and clean kidneys. Most of the medicines for lowering blood pressure are based on this benefit of urination. * Haemostatic & Styptic: Although these two properties are very similar in meaning, yet they differ a bit. While Hemostatic means an agent that can stop flow of blood or promotes clotting of blood, Styptic primarily means Astringent, which apart from having other properties of an astringent, also helps stoppage of blood flow by contraction of blood vessels. Both of these properties are very important in their own areas of application. If somebody is bleeding profusely, you need a Hemostatic to speed up clotting of blood and stop the flow to save his life. Similarly, being an astringent helps in a different way. It promotes contraction of gums, hair follicles, muscles, skin and blood vessels, thereby preventing loosening and fall of teeth, hair fall and flow of blood through vessels. Both of these properties can be life saving. * Hepatic: Cypress Oil is good for liver and it ensures good health of liver by maintaining proper discharge of bile from it. It also protects liver from infections. * Sudorific: Sudorific is a property by virtue of which a substance can cause sweating or perspiration. This is nothing to get annoyed at. Actually a good sweating makes you feel lighter, fit and helps removal of toxins and excess salt and water through sweat. This cleans the skin pores and openings of sweat and sebum glands and keeps away acne and other skin diseases. Cypress Oil has good Sudorific properties. * Vasoconstrictor: Cypress Oil causes blood vessels to contract. This can be beneficial in case of bleeding. 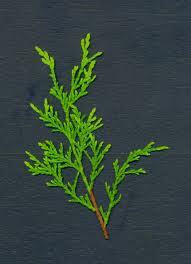 * Respiratory Tonic: Cypress Oil tones up the respiratory system and increases efficiency of lungs. It also helps remove cough and phlegm accumulated in the respiratory tracts and lungs as well as opens up congestion, making breathing easier when suffering from cough and cold. * Sedative: It induces a calming, relaxing and sedating effect on the mind and the body. It relieves nervous stress and anxiety. It also gives a happy feeling in cases of anger or sadness. This property can be helpful to pacify people who suffered a shock or setback in life. * Other Benefits: Checks heavy perspiration, heavy menstruation and heavy bleeding. It can also check water flowing out of eyes. It is anti rheumatic and anti arthritic and can also be used in treatment of varicose veins, cellulite, asthma, bronchitis and even diarrhea. Few Words of Caution: No threats, except that it should be avoided during pregnancy. Blending: Cypress Oil forms fine blends with essential oils of all citrus fruits such as Lime, Lemon and Orange as well as with Bergamot, Clary Sage, Frankincense, Juniper, Lavender, Marjoram, Pine and Rosemary and Sandalwood essential oils.